Our Bag and Washbag range make great little gifts and perfect stocking fillers. The Wash Bags have a waterproof lining and are ideal for sleepovers and holidays. 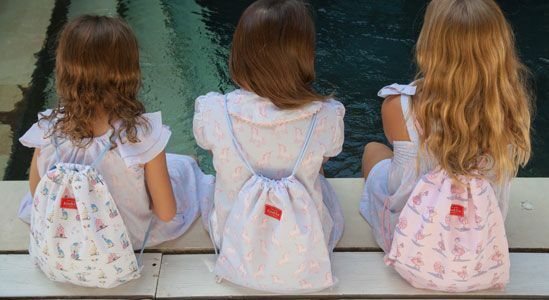 The String Bags, also lined with a waterproof fabric, are perfect for PE and swimming, and the Backpacks are a great size for days out and overnight stays.